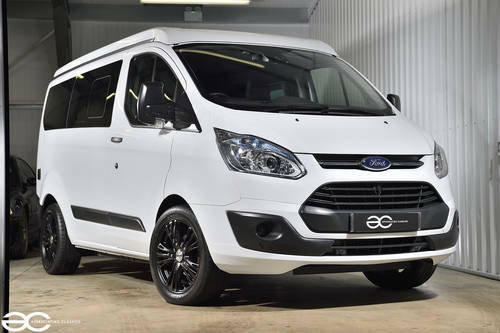 Obviously this is a little different to our usual stock, however a good friend of ours is looking to sell this beautifully prepared Ford Transit / Wellhouse Terrier SE Camper. 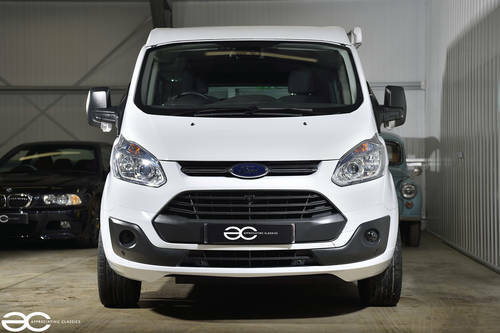 These vehicles are highly regarded as one of the best conversions available, and are recognised by Ford Motor Co as a professional, specialist campervan converter.. 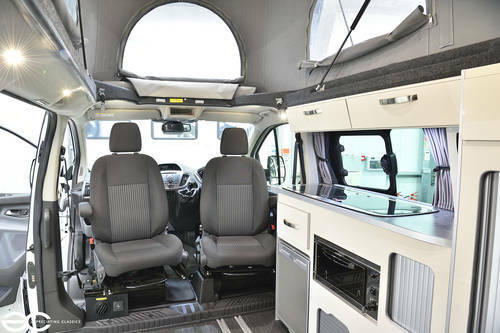 The Terrier won various accolades, including campervan of the year 2014. 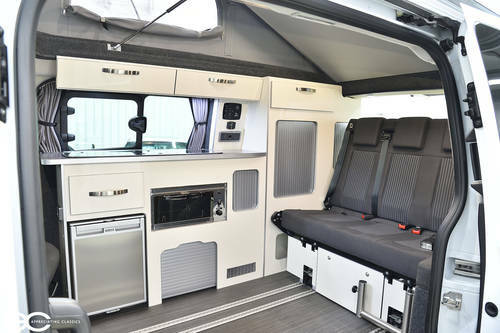 A very well put together Camper, which drives very well indeed, and has a very high quality finish throughout as detailed in the advert below. First registered on the 28th of July 2016, this Wellhouse Terrier has technically had one previous owner. However, it has been in the possession of the same person from new, having initially been registered to his company, it was then transferred in to his personal name. 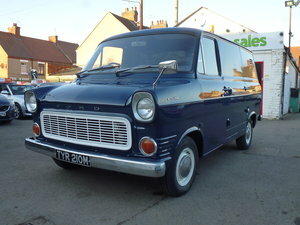 So it has had the same owner from new, although the V5 states one previous owner. Within the servicing booklet is the PDI stamp, and its first year service stamp which was carried out in July 2017. Every booklet, instruction manual and leaflet is still with the vehicle along with the spare key, and the Ford binder for the original Ford booklets. 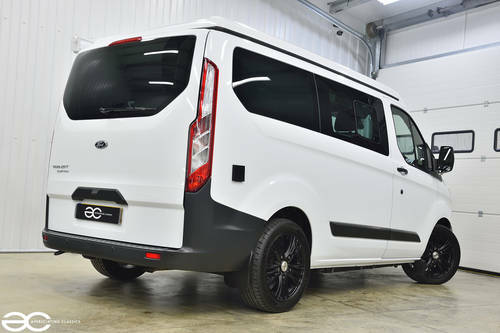 Unlike your typical camper, being finished in white with the black alloy wheels, this Camper looks like a sporty Transit van from the outside, with no real signs that this is in fact a very roomy and practical campervan. 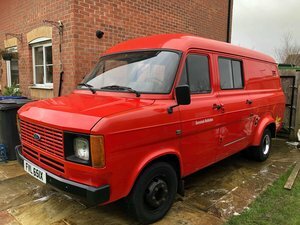 A breath of fresh air to anybody looking for a stylish campervan. 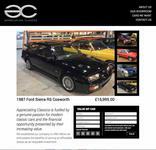 Of course the condition is very good, with low miles and low owners, it is clear to see it has been cherished. The paintwork presents very well, as do the wheels which are without damage. All badges are present, and the vehicle is without any modification. The awning is in extremely good condition, having had very little use – as you can see from the pictures. The interior is this vehicle’s party piece. 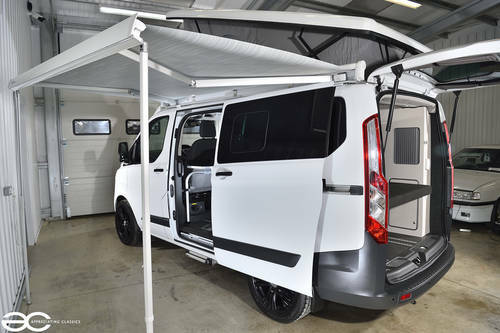 Open the sliding door and you are greeted which a very high quality camper installation with everything you could possibly require. 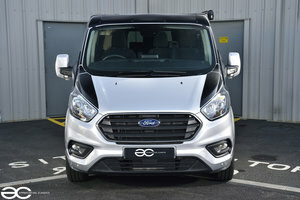 The rear seat takes three passengers comfortably, and can be slid either forwards or backwards for loading space or communal space – whichever is required. Front seats also swivel, so five people can be seated, all facing each other when camping. With the lifting roof, head room is not an issue, even for the tallest of people. 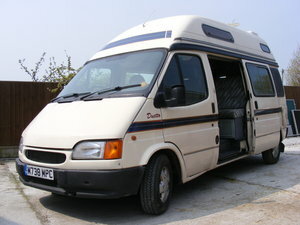 A double bed is housed within the lifting roof, and the rear seats can fold out in to a second comfortable double bed. LED lighting help show off the very high quality Technoform furniture – one of Eaurope’s leading premium furniture manufacturers for these outfits. The storage compartments and cupboards are all finished to a very high standard, with ample room to store away items you might require. 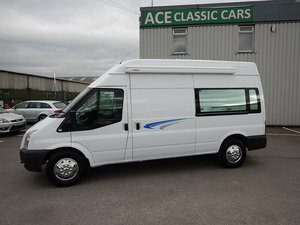 With a centre table (easily positioned), swivel front seats, sliding rear seats, twin hob cooker, sink, oven, fridge, eberspacher heater, toilet, shower, plus much much more – you can be sure that you are very well equipped for any road trip or camping holiday you may choose to embark upon. Please also note that the heater still has warranty and the gas certificate is in date, expiring in January 2019. Of course all of this interior is still in superb condition, and still maintains the ‘new smell’. The 2.2L engine performs very well, giving ample performance when on the road. Of course the engine has no faults, starting exactly as it should do with no smoking at all. These units are very reliable, and are a popular choice. The first service was carried out in July 2017, so you can rest assured that this vehicle is ready to be enjoyed. All running gear is without fault. The clutch and gearbox are smooth and a pleasure to operate, the brakes give good feel and are more than adequate. No unwanted noises when being driven, far from the stereotypical camper of old, this is very quiet and is genuinely very nice to drive. 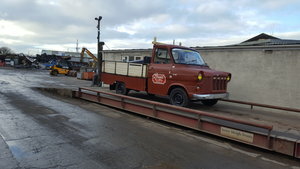 All tyre’s are in good condition, with lots of tread remaining, and the wheels are all in good condition.